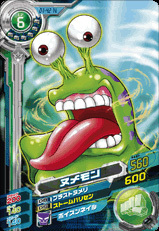 A Mollusk Digimon which possesses a slug-like body. It prefers dark, gloomy environments, and has neither offensive power nor intelligence. 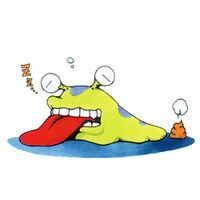 A Digimon becomes a Numemon if mistakes are made in raising it, but as a matter of fact, there appears to be some hidden secret...In order to defend itself against intruders, it uses a disgusting attack in which it throws its own poop. — Digimon Adventure: "Palmon, Raging Evolution!" Comes from numenume (「ヌメヌメ」), meaning soft and slippery. Anime/Manga Digimon Adventure: "Palmon, Raging Evolution!" Unchi  Poop ウンチ N/A Party Time Throws its own poop in order to defend itself against intruders. 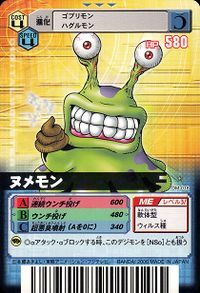 Unchi Nage  Poop Throw ウンチ投げ N/A Nume-Sludge/Junk Attack/Poop Toss Throws its own excrement towards the enemy. Throws its poop over a long distance. Renzoku Unchi Nage  Continuous Poop Throw 連続ウンチ投げ N/A Multi-Junk Attack Throws poop at the enemy continuously. Enga Chou Kick  Face Down Super Kick エンガチョウキック Enga Chou Kikku Filth Kick Swings to face backwards, then attacks with a dirty kick. 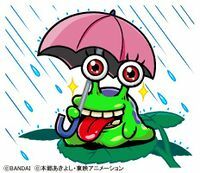 Chou Akushū Funsha  Super Stinky Spray 超悪臭噴射 N/A Hyper Stink Shot/Smelly Breath Burps out toxic gas at the foe. 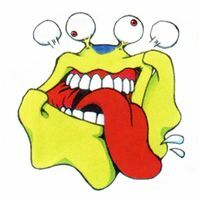 Iya~ na Shita  Unpleasant Togue イヤ～な舌 N/A Yucky Tongue Licks the enemy in a disgusting way. The Chosen Children first encounter the Numemon when they are traveling through the sewers after meeting Andromon. 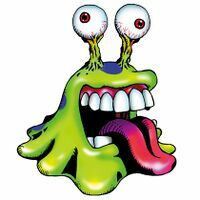 Having taken just a whiff of the putrid slug digimon, they run away, only to encounter more Numemon hiding inside vending machines. Mimi insults the leader of the Numemon and thus begins the running away... again. In Digimon Adventure 02, Daisuke's first encounter with a Digimon is a horde of Numemon coming out of a vending machine. 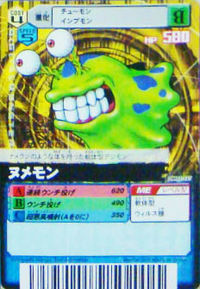 Numemon appears as an obtainable Adult-level Virus type Digimon in Digimon World. 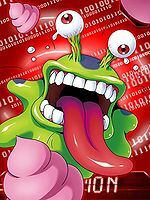 All 9 Child Digimon will evolve into Numemon when 4 or 5 days have elapsed since their evolution from a Baby II Level if not enough evolution requirements has been fulfilled to evolve into another Digimon, such as not achieving the required Stats, or exceeding more than 5 Care Mistakes and not accomplishing any Bonus Condition. A Numemon's stats are inferior to a Child Digimon's stats, both when evolving into Numemon, and when obtaining stat boosts from training, versus other Adult-level Digimon which have superior stats to Child-level Digimon. 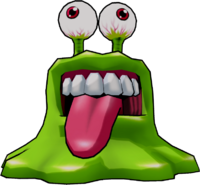 A Numemon NPC can be found in the sewers of Factorial Town, who appears to be sick due the red mist and waste. 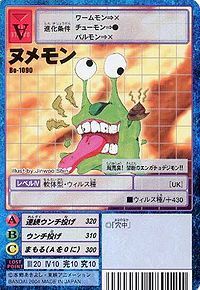 After the Player defeated Giromon and recruited both him and Andromon, the mist will dissipate and Numemon will start feeling better, to the point that he attacks the Player with no memory of him. However, Numemon shares an easy battle compared to the enemies wandering around the area and a single hit will likely defeat it. After it was defeated, it'll join the Village of Beginnings, working in the Secret Item Shop, along with Igamon, Mojyamon, Mamemon and Devimon. If none of the aforementioned Digimon were recruited, Numemon will build the Shop, which can be accessed from the stairs to the left of the normal Item Shop. 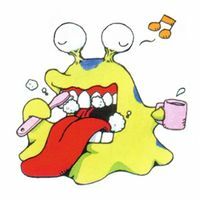 Numemon shares the same schedule as Unimon, working from the night to early morning, selling repelling and enticing items that can be used against wild Digimon. 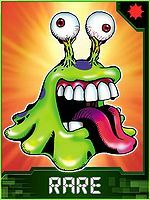 Numemon only has two evolutions, though one of them is crucial to complete the game. In Toy Town, inside the Ex-Tyranomon building the Player will find a lifeless Monzaemon suit that cannot be interacted in any way, but if the Player brings a Numemon, it will automatically react to the suit and enter it, thus evolving into Monzaemon as this is the only way to enther the Toy Mansion and defeat Waru Monzaemon. Aside from the aforementioned evolution, and, as like every Champion Digimon in the game, can evolve into Vademon by scolding it when its age reaches 15 days old, though this only has a 50% chance of happening. It, like any other Digimon, will evolve into Scumon if its Poop Meter is full. 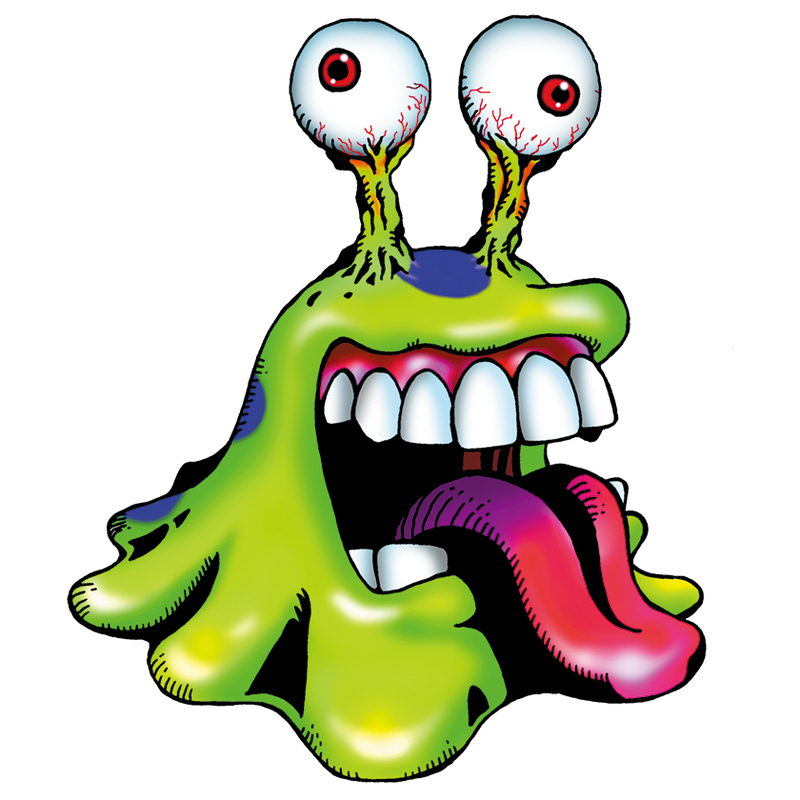 Numemon spits excrement out of its mouth towards the enemy. 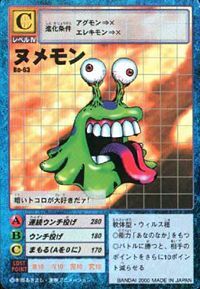 Numemon is an obtainable Digimon. Evolves from Hagurumon (0 DP). It cannot evolve. Cannot be found wild anywhere, but can be born from a DigiTama. He also appears at Pucket Lagoon, giving player information on how to avoid cavity problems and giving a Tooth Brush Set during Evilmon's request mission. Numemon is an obtainable evolution of Agumon, Lalamon, Gaomon, Falcomon, Piyomon and Renamon. Can be evolved from Otamamon if above level 19 and total of 1400 EXPs. However in Sunburst, if you go to DigiColosseum and give a secret password "82607991" to Valkyrimon, you will get a 100% scan data of Numemon for free! Evolves from Gazimon. Can evolve to Whamon or Gerbemon. Catherine is the partner of Lili. 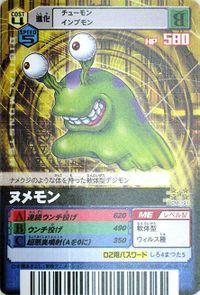 Numemon is also an obtainable Digimon which is evolved from any Child Digimon which does not meet any other Adult Digimon's evolution requirement, and can evolve to Etemon or Monzaemon. It can also be obtained as a collectible card. 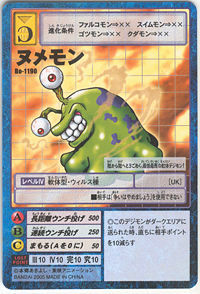 Its card is part of the We Are Filth (オレたち汚物 Oretachi Obutsu) set and the Different Numemon (異なるヌメモン Kotonaru Numemon) set. 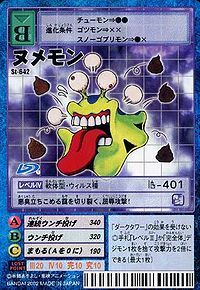 By using a Numemon-shaped item, a player can temporarily make an opponent become Numemon. It can also be obtained as a collectible DigiCard. In the side mission request "Numemon Strikes Back," the client Numemon is upset that the majority of Digimon make fun of it. 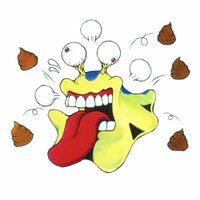 The Numemon requests that the player go defeat a bunch of Shakomon and collect 8 of their shells. Upon turning in these 8 shells, the Numemon evolves into a new form, Karatuki Numemon, and tries out its newfound power by attacking the player. Evolves from Agumon or Betamon when the requirements for the other evolutions are not fulfilled. 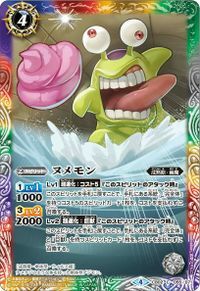 Can evolve to Monzaemon. Numemon is an enemy Digimon in Area 01 and 02. Evolves from Agumon, Gabumon or Betamon. Can evolve to Metal Greymon. Evolves from Agumon, Gaomon, Lalamon, Toy Agumon or Tyumon. Can evolve to Rize Greymon, Mach Gaogamon, Lilamon, Whamon or Gerbemon. Its humiliating attack cuts through the mist of stench! Overwhelming stench! A forbidden filth Digimon!! This lowest and worst mollusk digimon wriggles from shadow to shadow! 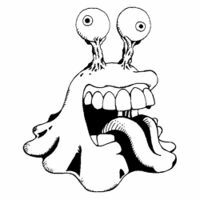 A Mollusk Digimon that possesses a slug-like body. 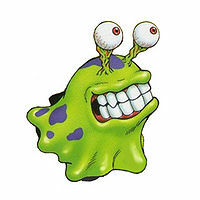 A Mollusk Digimon which has a distinctive slimy body. When it is assaulted by the opponent, it attacks by throwing its own poop. 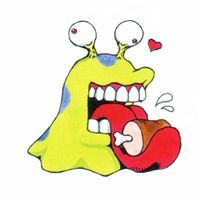 A Mollusk Digimon which possesses a slug-like body.